ATTENTION INVESTORS, OR PEOPLE WHO ARE LOOKING FOR A NEW PROJECT TO WORK ON. THIS QUAINT HOME IS THE PERFECT OPPORTUNITY FOR YOU TO OWN A LITTLE PIECE OF HAMPTON AND FIX IT UP. GREAT STARTER HOME OR RENTAL. JUST MINUTES TO THE COLISEUM PENINSULA CENTER AND LANGLEY AIR FORCE BASE. Ready to visit 203 Roane? Request a free property tour! Send me more information about the listing at 203 Roane, Hampton, VA 23669, MLS# 10240153. 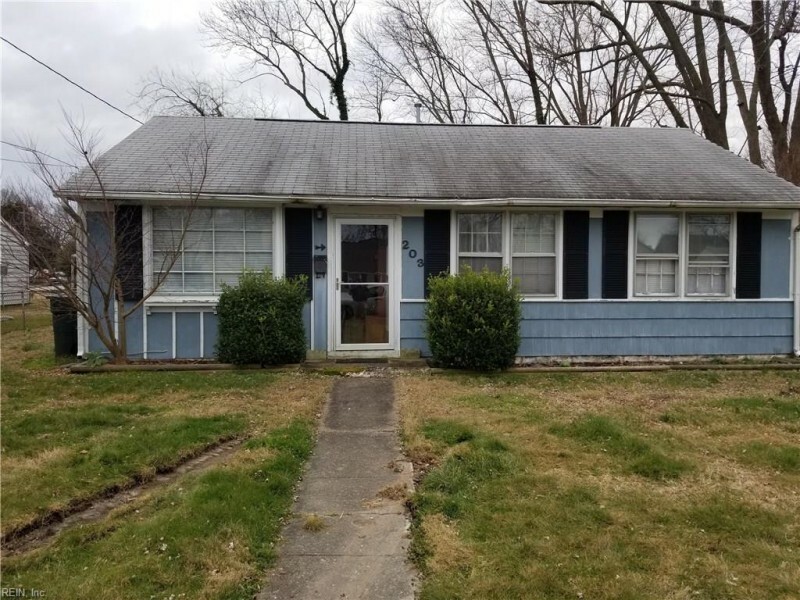 This 3 bedroom, 1 bathroom home located at 203 Roane, Hampton, VA 23669 has approximately 833 square feet. It is currently listed for $50,000 and has a price per sqft of $6,002. This home is currently Sold under the MLS#: 10240153. This listing is provided by Virginia Country Real Estate Inc..
203 Roane Drive, Hampton was built in 1952. It has Off Street, Street parking.The kitchen includes None. 203 Roane is part of the Fairview Farms neighborhood located in 23669.